A true triumph of voice and storytelling, The Book of Night Women rings with both profound authenticity and a distinctly contemporary energy. 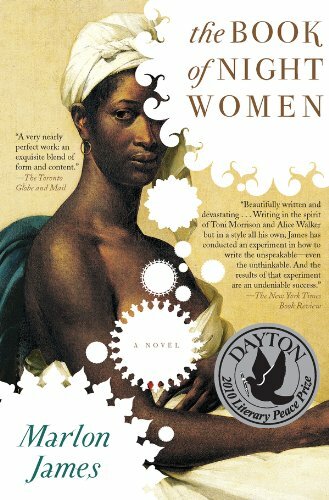 It is the story of Lilith, born into slavery on a Jamaican sugar plantation at the end of the eighteenth century. Even at her birth, the slave women around her recognize a dark power that they- and she-will come to both revere and fear. The Night Women, as they call themselves, have long been plotting a slave revolt, and as Lilith comes of age they see her as the key to their plans. But when she begins to understand her own feelings, desires, and identity, Lilith starts to push at the edges of what is imaginable for the life of a slave woman, and risks becoming the conspiracy's weak link. But the real revelation of the book-the secret to the stirring imagery and insistent prose-is Marlon James himself, a young writer at once breath­takingly daring and wholly in command of his craft.